. 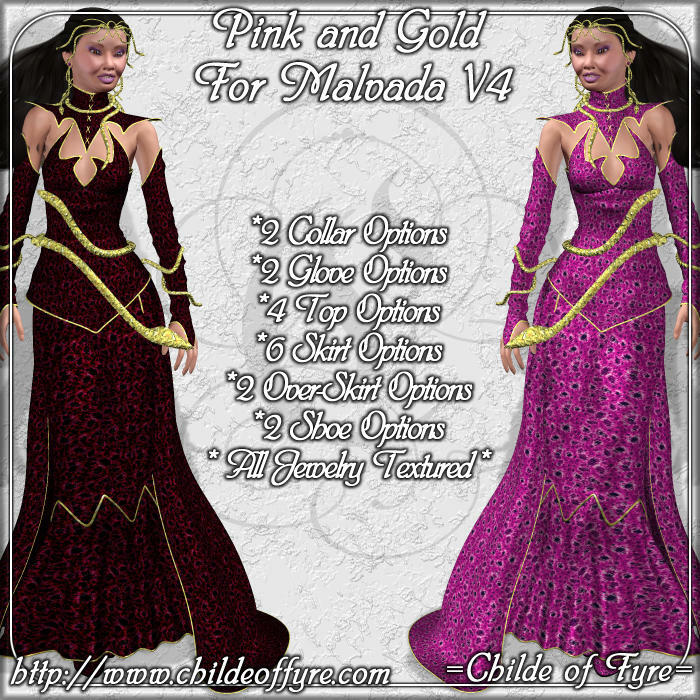 :: Pink-Gold For Malvada V4 ::. This is a sort of pink and gold texture for the entire outfit. You can get it over on Daz. It's for V4.